These are questions that we ask to find out about the subject. The question word comes before the verb without the use of the auxiliary verb. You just omit the subject and put the question word without making any change in the sentence order. Sheis a teacher at a university. The expensive book tells an interesting story. Object questions ask about the object of a sentence. The word order of the question must be changed. Use Who or Whom for people and What for objects. * John is with Alice. * The book gives a good example. What does the book give? The book gives a good example. 1- Use am/is/are supposed to when something is planned, arranged, expected or said in the present or future. It can also be used when something is not allowed. ” Are you supposed to finish the project today?” Yes I am. “You are not supposed to speak Turkish in an English class. “They were supposed to call before they go, but they didn’t. 1- Use ‘prefer’ to talk generally about likes, dislikes, what we want. 2- The expressions ‘would prefer’ and ‘would rather’, to be a little more specific or for on the spot decisions. “I would (I’d) prefer being alone to being with the wrong person”. 5- To ask about general likes and dislikes, use “present simple tense”. Eg: Do you prefer horror films? 1- Infinitives are the “to” form of the verb. The infinitive form of “learn” is “to learn.” You can also use an infinitive as the subject, the complement, or the object of a sentence. · To learn is important. · The most important thing is to learn. · He wants to learn. · I decided not to go. · The most important thing is not to give up. 4- Some verbs are followed by a noun +infinitive. In some situations, the noun is required. In other situations, the noun is optional. Her favorite hobby is reading. 3-In the subject position mostly gerunds are used. 4- Some verbs are followed by gerunds as objects. I go swimming every weekend. 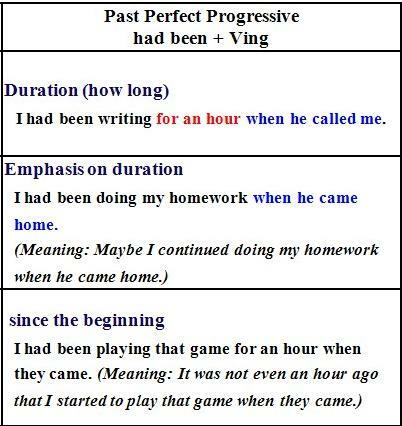 6- Gerunds are used after prepositions. He is thinking about studying abroad. Sandy is scared of flying. They admitted to committing the crime. She understood his saying no to the offer. Sam resented Debbie’s coming late to the dinner. We discussed Mary’s behaving so rude. Some verbs can be followed by a gerund or an infinitive, but with a difference in meaning.